Nothing has personal impact quite like a handwritten note. There’s something incredibly sweet and almost romantic about using a handwritten font for design projects. All your words can carry the special, personal touch. Elegant Handwriting Fonts collection includes thirty beautifully crafted handwritten typeface styles for only $9.95. They are perfect fit for Thanksgiving, Christmas, Hanukkah and New Year greeting cards, gift tags or personal thank you notes. 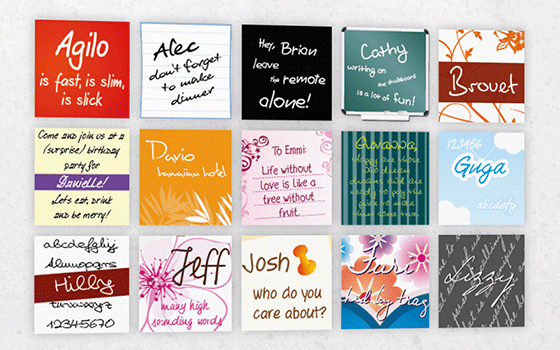 Any additional font collection on the same purchase is offered with a $5 off discount!